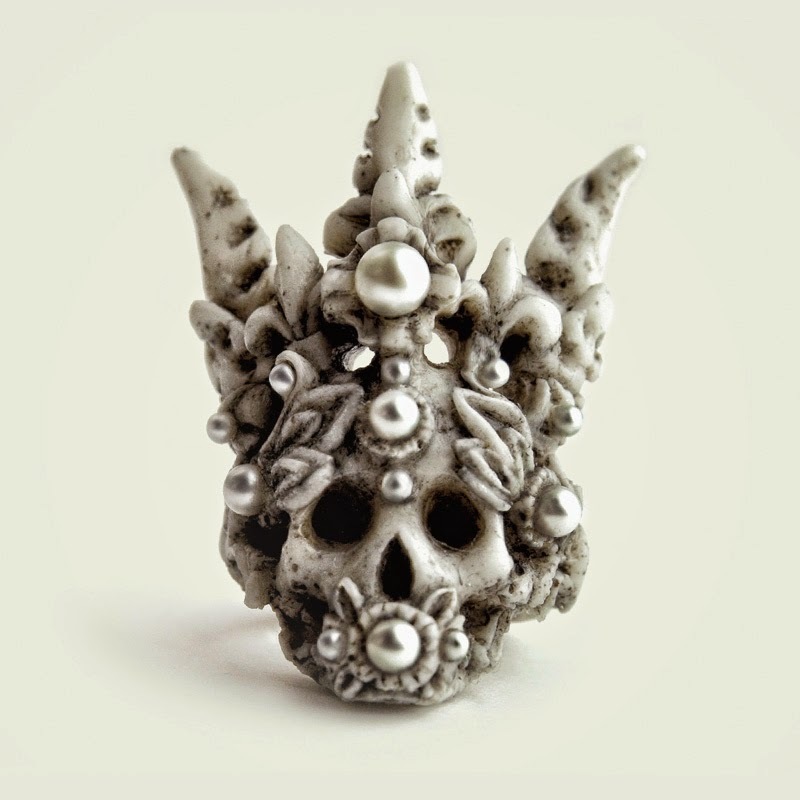 Just happened to stumble over a very cool jewelry designer - Macabre Gadgets. The handmade pieces in their collections have this blend of beauty and the macabre I love so much, and they are created from diverse materials like pressed coral, pressed bone, industrial polymer plastic and inlaid precious and semi-precious stones, pearls and metals. 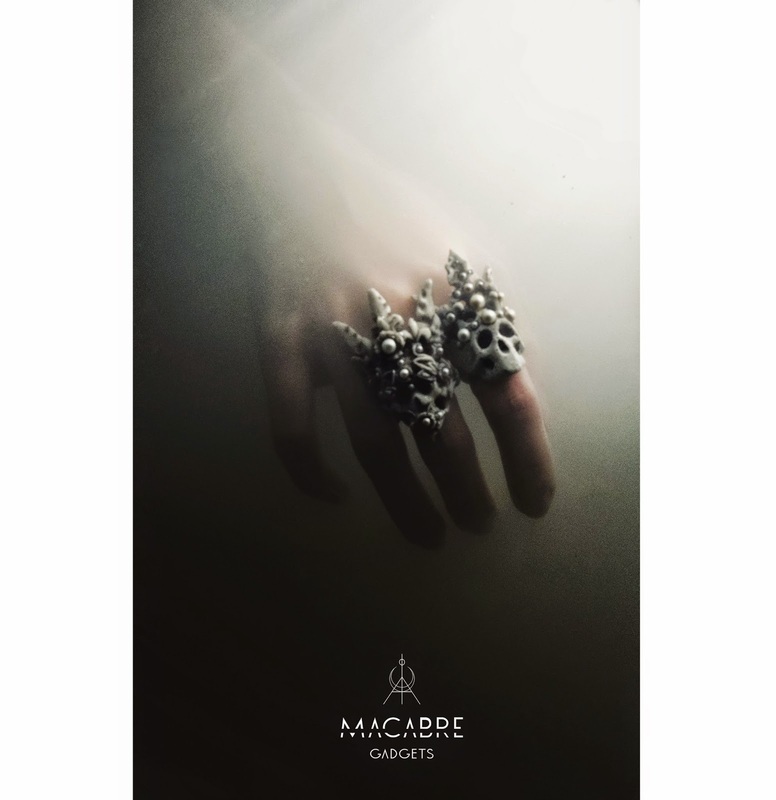 "Macabre Gadgets is inspired by the infernal aesthetics of the dark side, which is inherent by the world view of mankind at all times, epochs and styles, from the early Middle Ages to progressive postmodernism." Coral crown ring. Pressed coral, cultured pearls. 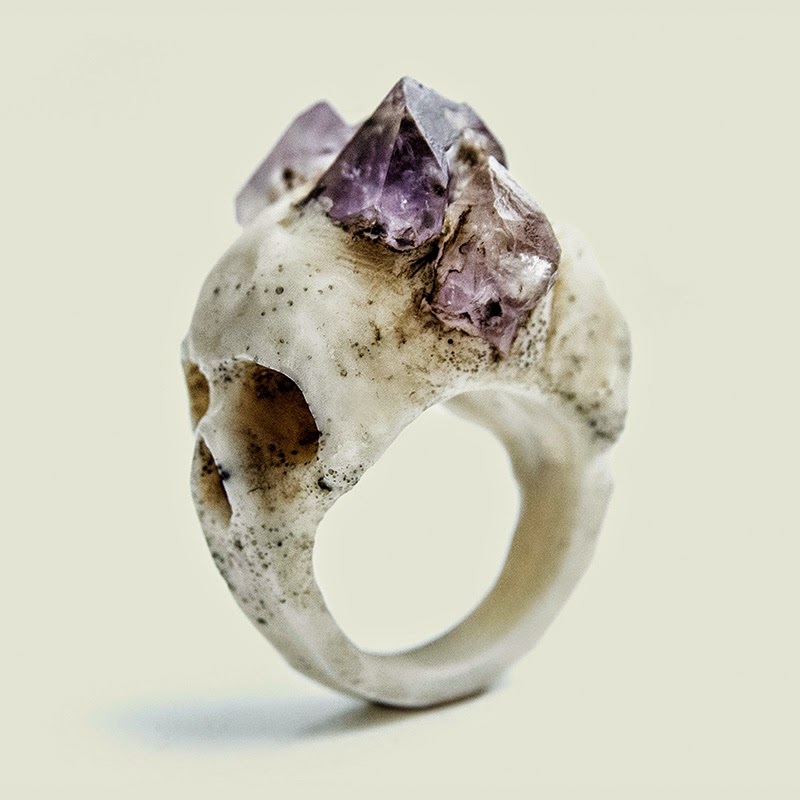 Bifacial skull ring. Polymer plastic, amethysts. 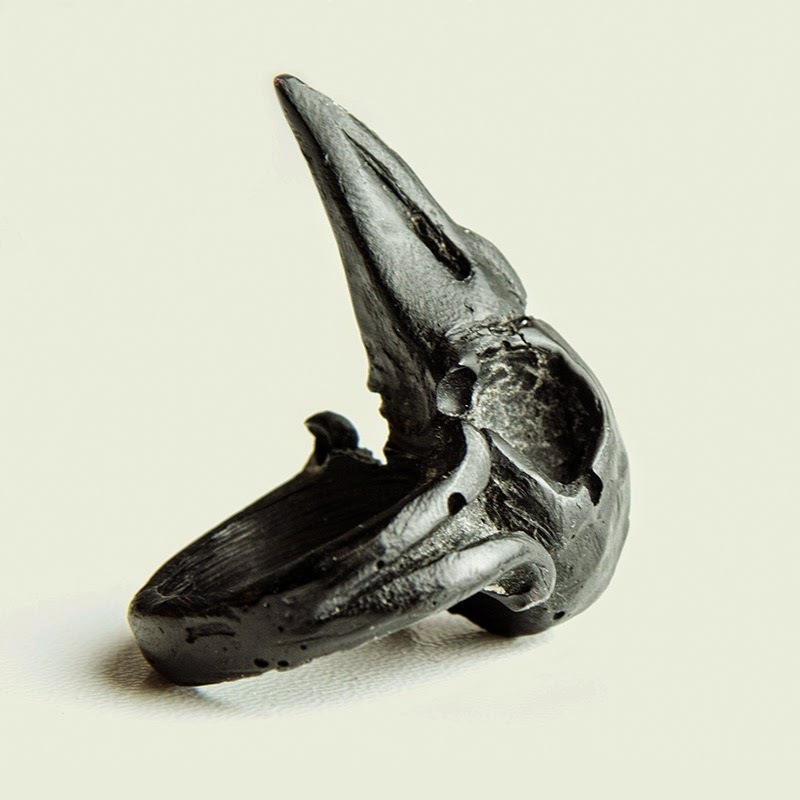 Raven skull ring, black. Polymer plastic. 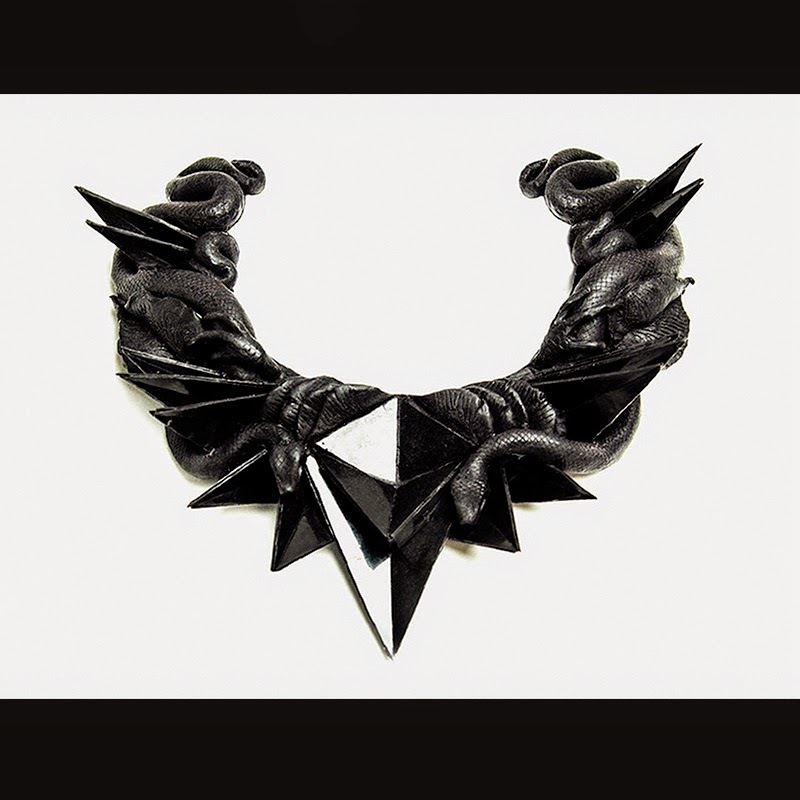 Carpathia collar, black. Polymer plastic, silver, caoutchouc. 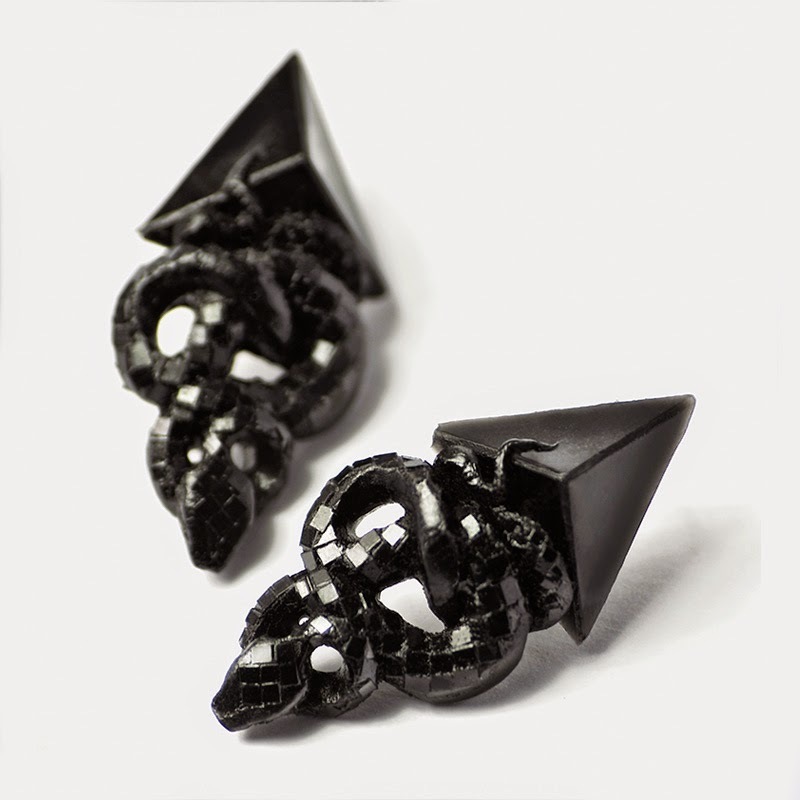 Black snake earrings. Polymer plastic, silver. 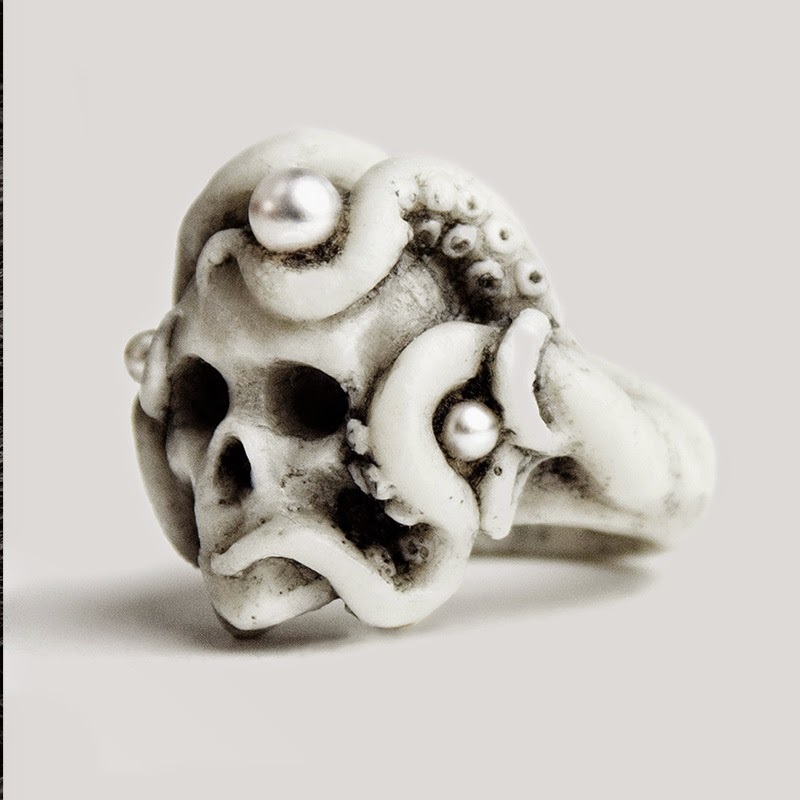 Octopus ring, white. Pressed coral, cultured pearls. 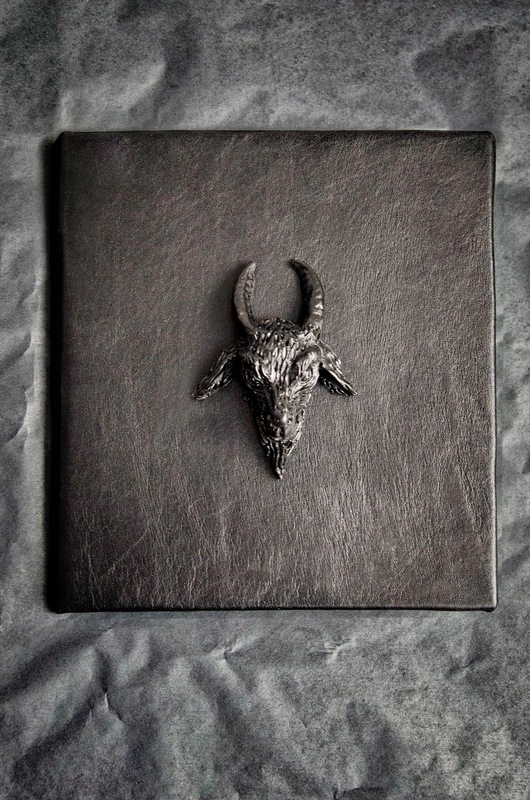 Caprinae notebook. Leather, paper, polymer plastic. To see what else Macabre Gadgets has to offer, please visit their website here!